A unique bioactive collage gel for Body Care. An active transdermal gel for all skin types, designed for daily skin care. The product has a deep moisturizing and firming effect on the skin of the whole body. It is intended for dry, excessively flaky skin that is prone to irritations and allergies. It has a soothing effect on psoriasis and atopic dermatitis symptoms. Supports the treatment of varicose veins, deficit tissue, cellulite and stretch marks. It is recommended for use with iontophoresis and sonoforesis treatments. It smoothes scars and regenerates cracked heels. 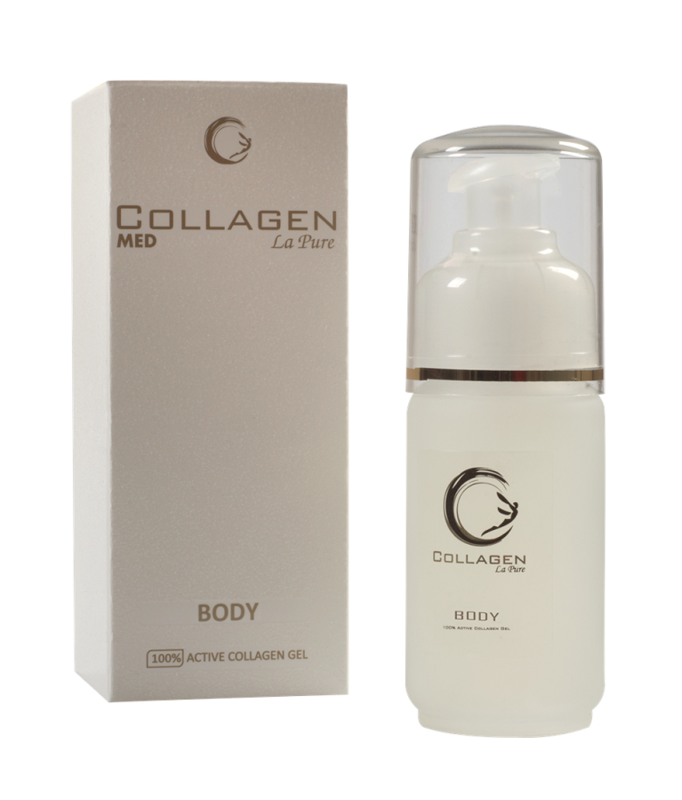 The product is completely hypoallergenic with a wide range of applications based on natural fish collagen. On freshly cleansed, damp skin of the body, (after warm shower or bath) apply a small amount of the gel and pat it in gentry with fingertips. Absorption time varies from 10 to 15 minutes. Once it has absorbed completely, apply your favorite cream or body lotion. 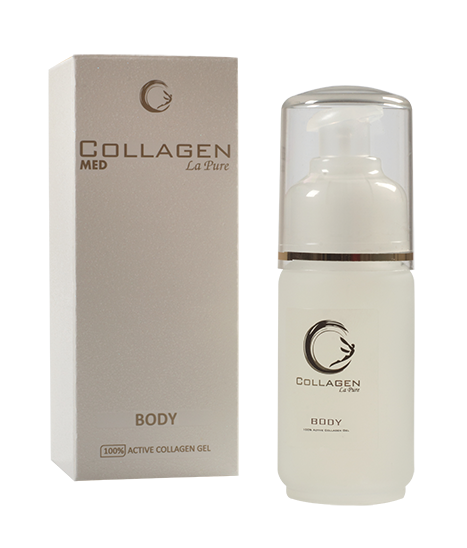 Available packages of Collagen La Pure Body: 50 ml, 125 ml.